In the early 1900’s, artists from the U.S. and U.K. developed the experimental “dazzle” camouflage with the intent to disorient and outwit WWII German U-boats as opposed to blend in with the surrounding environment. The designs drew from natural animal camouflage, cubism, and geometry to not only emphasize their shapes but disguise it. This emphasis on color and form lead to the aptly named “Dazzle Boats”. In July, Multidisciplinary artist Tauba Auerbach will be co-opting experimental camouflage aesthetics for a public art piece: the repurposing of Fireboat John J. Harvey. 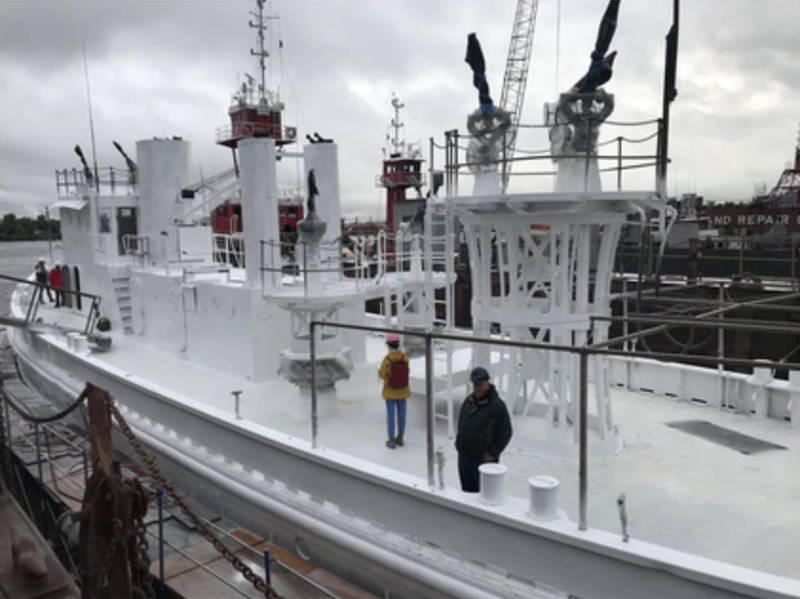 The fireboat, famous for its eight hour stead during 9/11, will feature its original colors - vibrant red and contrasting white with a dazzling twist. The project became known as Flow Separation as Auerbach’s design incorporates fluid dynamics in it’s pattern making– water marbling ink on paper. The project is co-comissioned by Public Art Fund and 14-18 Now, the UK’s public art program commemorating the centenary of World War I. Flow Separation, the refinished John J. Harvey fireboat will be docking at Brooklyn Bridge Park’s Pier 6 and Hudson River Park's Pier 25 and Pier 66a – from July 14th to September 23rd, offering weekend tours, boat trips and special programing. Free and open to the public. Support this project via Public Art Fund on kickstarter.